As an elite Navy SEAL, Mann performed seemingly impossible tasks on a regular basis. Here he details the lessons he learned from his training and shows how the rest of us can apply those teachings to our daily lives in terms of learning to push beyond our internal boundaries and achieve the goals we’ve set for ourselves, both professionally and personally. 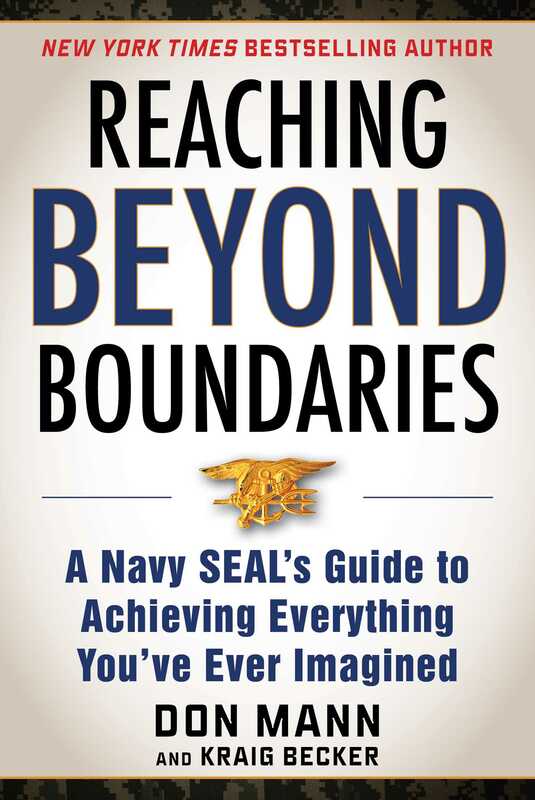 Reaching beyond Boundaries teaches how to set and conquer both micro- and macro-goals through removing excuses, having the right mindset, and learning from successes and failures. "The highest personification, the hard iron integrity of a man, is one who constantly exercises excess to the extreme in every facet of his life. But most strenuously powerful in courage against literally all impossible odds. With steadfast commitment, unwavering dedication to the highest most honorable of ideals. Always with the constant deepest, harshest search of self-exploration and improvement. Of carving inward for self-honesty, humility, grace, benevolent compassion, gentleness, and endless generosity. When all this is forged together in the hottest deadly trials and fires, to be fiercely amalgamated to a finely-honed surgical edge, then any and every impossibility becomes truly possible. Becoming the embodiment of a highly capable, always ready dynamic paradigm shift. A living breathing personification of Manifest Destiny. It is the grandest epitome of the classic mythical selfless Warrior, Hero. Whether Don, in all his quiet graciousness will admit it or not, my subtle, small description here, has been his entire life. His latest book, Reaching beyond Boundaries, is not only a carefully crafted compilation of succeeding past his greatest hard life-learned lessons; Don shares it as a strategic guide book for anyone struggling to learn how to crush and exceed any fear and self-limiting doubt. Don easily exhibits how to muster all bravery, to confidently reach over any precarious edge and seize your glory. In short, to successfully, continually conquer the unreachable, the unconquerable again and again, flawlessly.